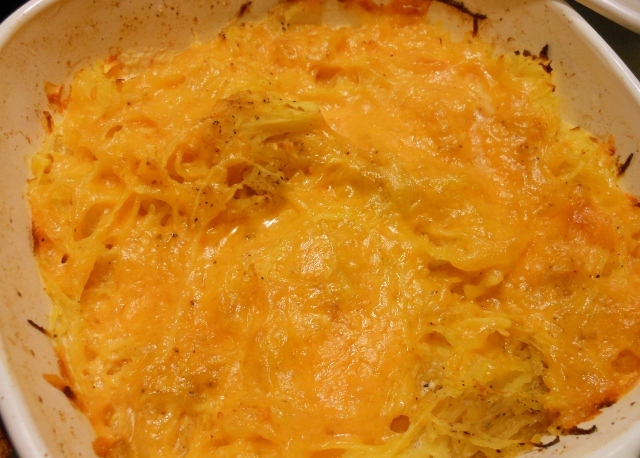 We were looking for a side dish for our ham tonight and thought we’d give our spaghetti squash a different twist. My pictures don’t do it justice; for some reason I have a hard time photographing things like this sometimes. Anyway, just a quick post for the recipe today. 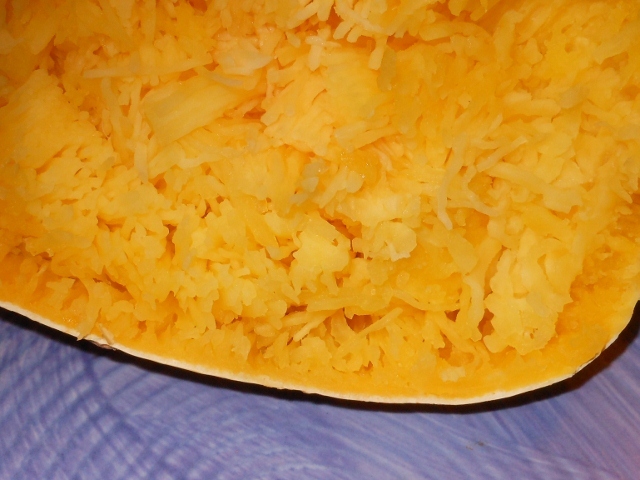 Prep spaghetti squash by baking to soften ~ we baked out whole for about 45 minutes at 350 degrees to soften; then cut in half and removed seeds before shredding with a fork. 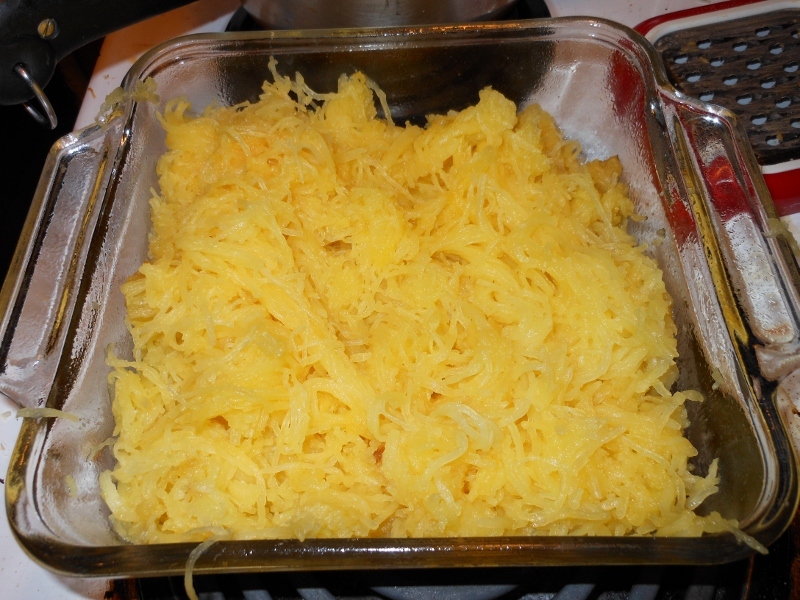 In buttered baking dish spread spaghetti squash; sprinkle with salt, pepper, garlic, and cayenne. 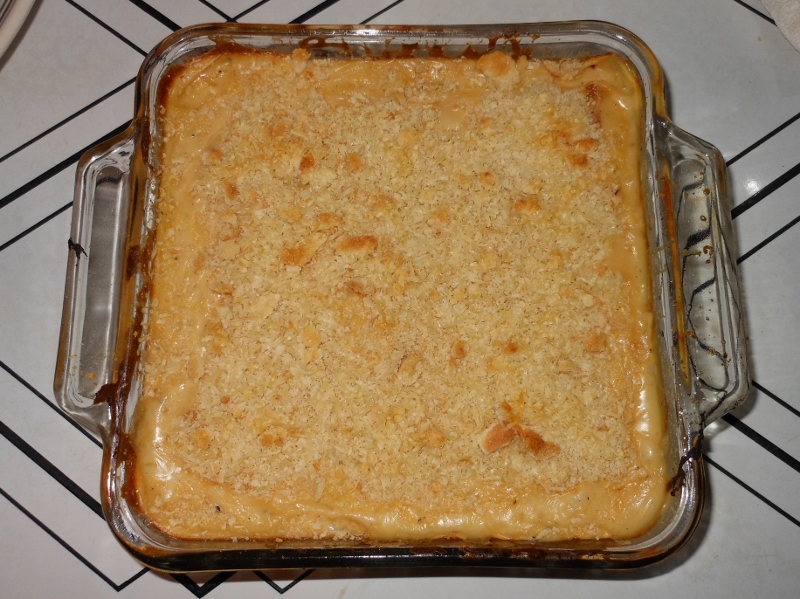 Pour milk over top and spread with shredded cheese. Bake at 350 degrees for about 30 minutes. I have to confess this is my second try on this recipe. 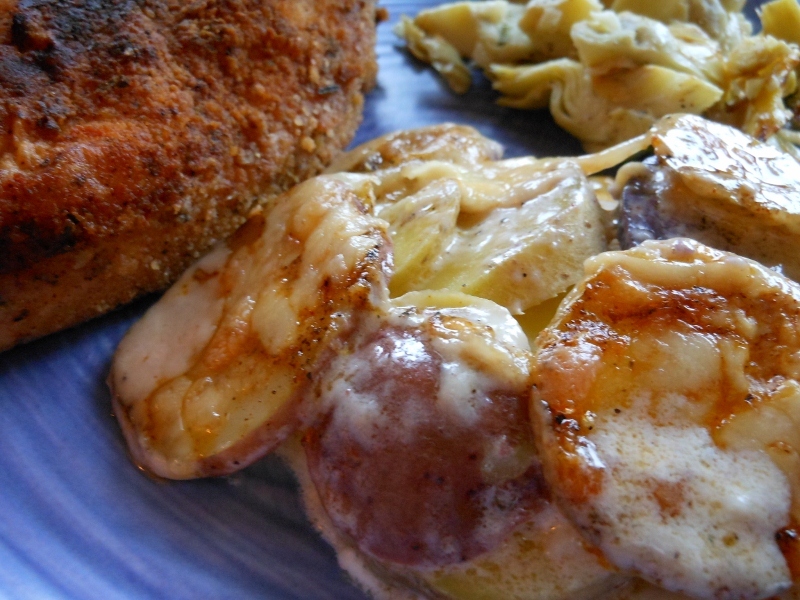 I made them a few days ago and the flavor was great but I should have parboiled the potatoes and added extra cheese so here is the second try which is very delicious. 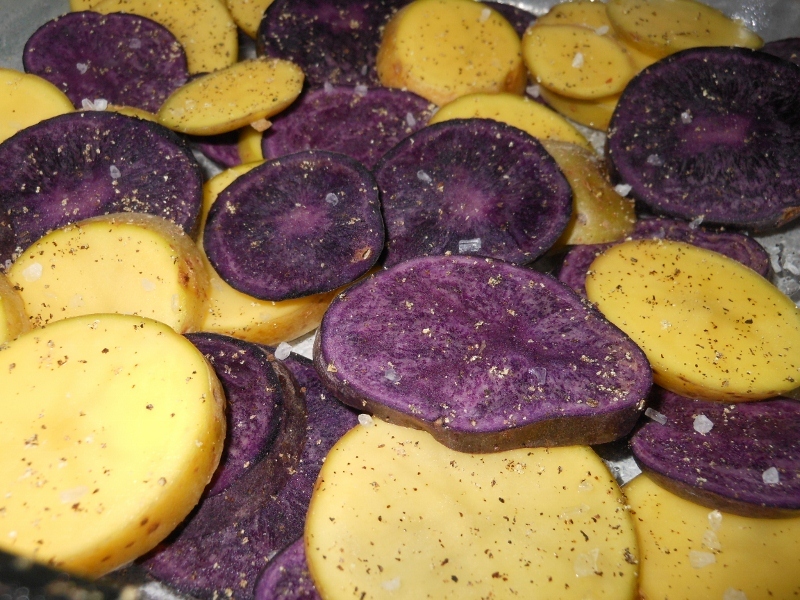 Peel the potatoes if desired; dice into small cubes and cover with cool water. Bring to boil and simmer for 8 minutes. 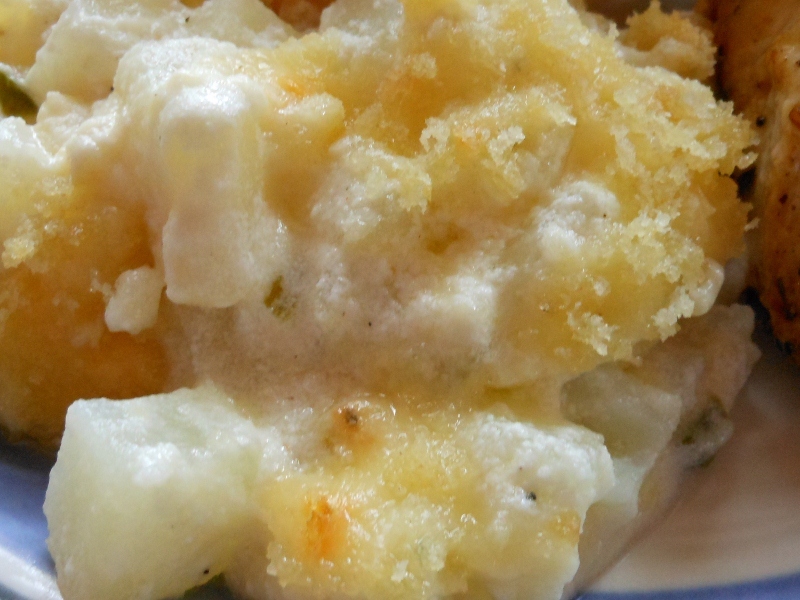 Drain and mix with remaining ingredients except for additional cheddar and bread crumbs. Pour into greased casserole. 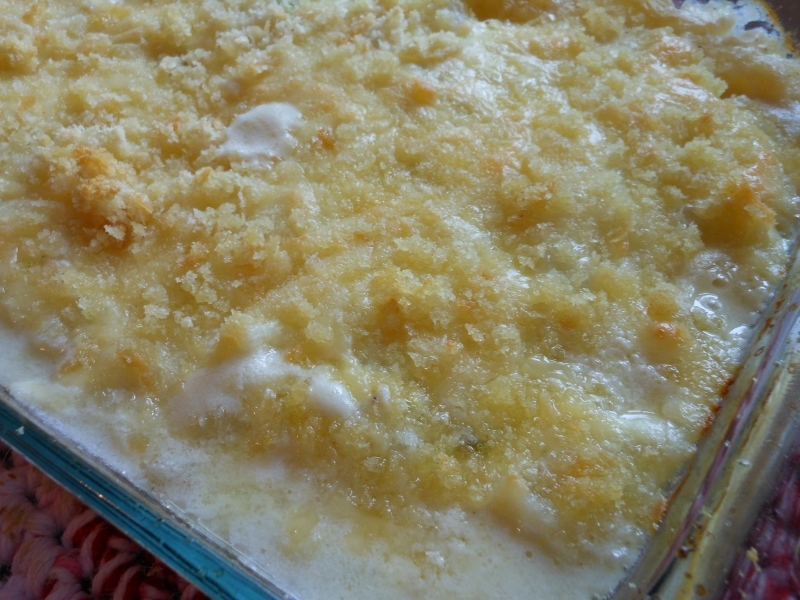 Top with additional cheddar and bread crumbs. Bake at 350 degrees for 30 – 40 minutes; if desired bump heat up to 375 for the last few minutes while bread crumbs toast. I love making new things with squash. 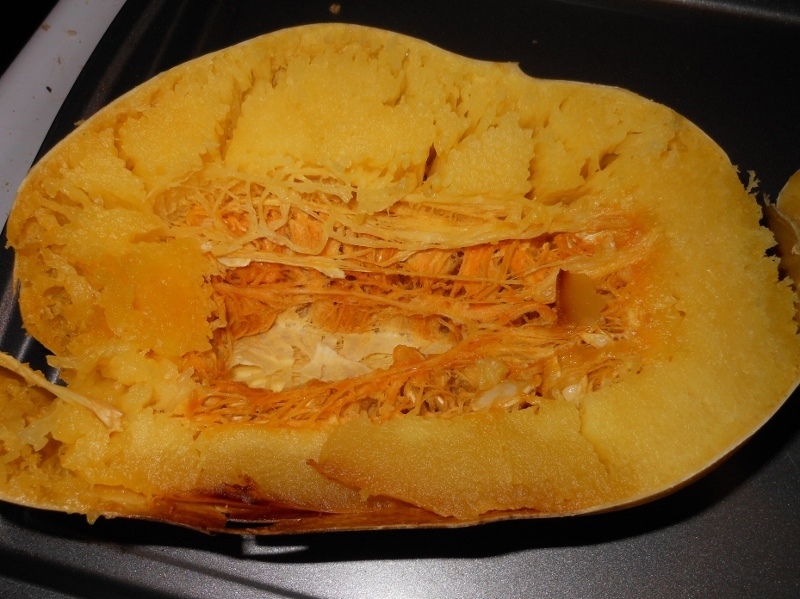 When one of our latest magazines came in it had a spaghetti squash gratin listed … so I did what any loving wife would do and left the magazine open to the page, left it out where Charles would see, and purchased a spaghetti squash. He and I cook alike. We find a recipe or picture we like (perhaps we even read the recipe) but after that all bets are off and the recipe takes on a new life. So while I was at work today I left him to do the cooking. Baked chicken with augratin spaghetti squash and brussels sprouts. Combine the broth, cup of milk, butter, and garlic in sauce pan; heat through. Shake together flour and 1/4 cup milk until smooth. Add to sauce pan and simmer over medium heat stirring constantly until thickening begins. 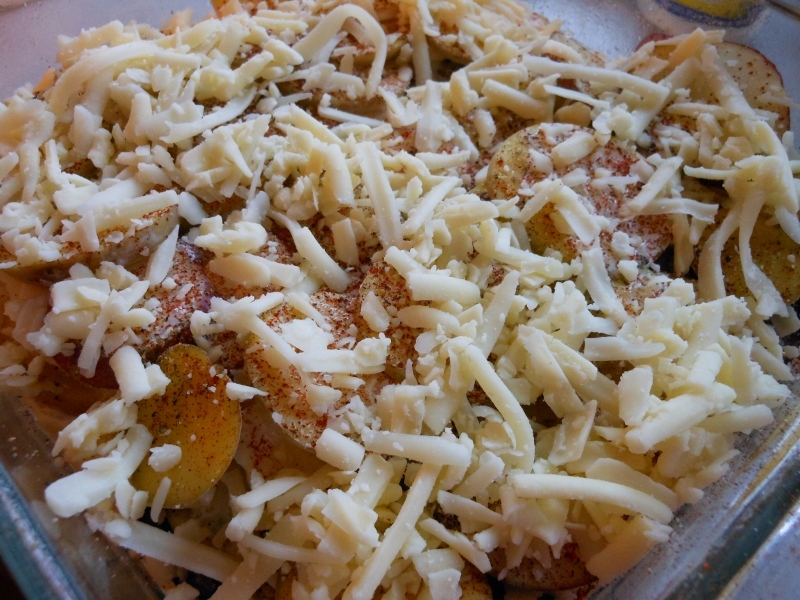 Add remaining seasonings and cheeses; combine well. 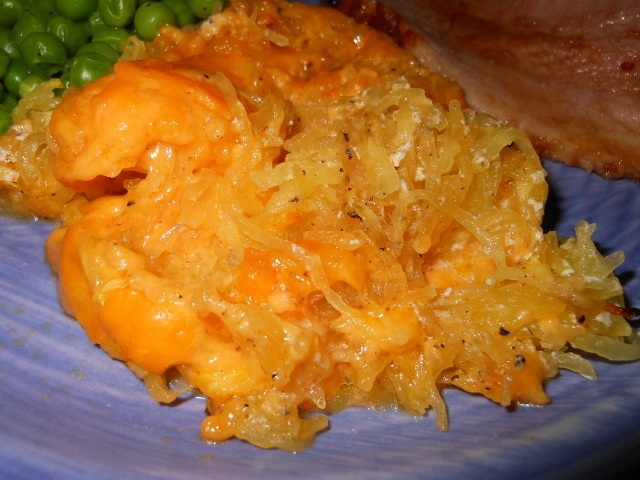 Put prepared spaghetti squash into 2 quart buttered casserole and pour sauce over top. 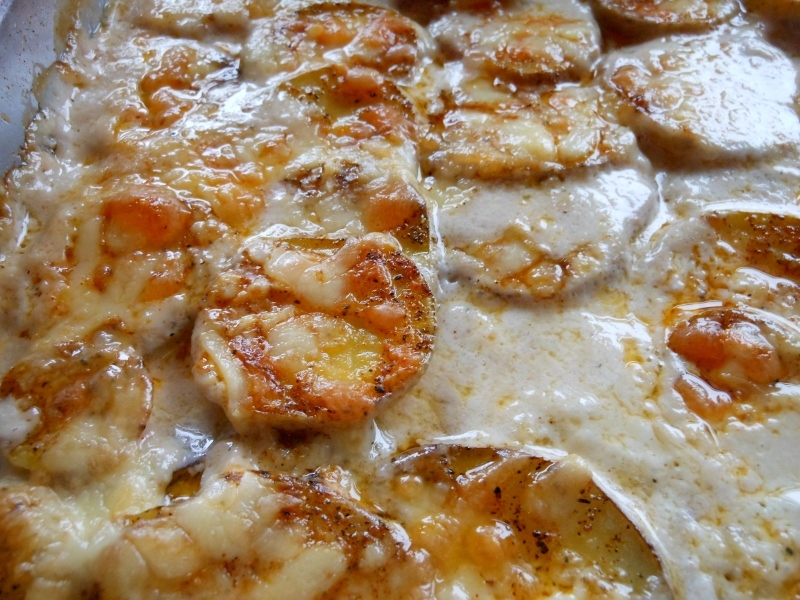 Top with bread crumbs and bake for 20 minutes at 375 degrees. Kick heat up to 425 degrees and bake an additional 5 minutes to further brown top if desired.